If you were born with your SUN in CAPRICORN, you shine when you can take charge of a situation. Your sensible, no-nonsense approach to problem solving helps you to make the most of your resources. Your innate sense of responsibility helps you to finish what you start. Others often turn to you for leadership because of your reliability and strategic skills. Capricorns are known for patience and perseverance when it comes to achieving their goals. You have an appreciation for mastery and great respect those who have earned top rankings in their chosen endeavors. Flattery and shallow compliments aren’t likely to impress, but you thrive on being recognized for your hard work. their Sun sign in 2008. The process of transformation is never easy. It involves a certain amount of letting go of control– not one of Capricorn’s favorite things! To be reborn into a new, empowered being, the old must be released and shed– like a snake shedding its skin or a butterfly emerging from a cocoon after a caterpillar existence. This is an excellent year to make great strides towards your goals and see results from the effort you’ve put in. It could be a less challenging year than the past few years, since Jupiter is trining your Sun for much of 2016. You’ll get a boost of positive energy and optimism from Jupiter. However, it will still be necessary to consciously work for what you desire. You’re slated for life changes that can develop your ability to adapt and break free from rigid, limiting beliefs. You’ll benefit by staying flexible and knowing when to relinquish control, especially when it comes to your home and family life. Spiritual practices – such as meditation or prayer – can help you to surrender to forces that are out of your control and trust in the guidance of a Higher Power. PLUTO in Capricorn continues to conjoin your Sun promoting a process of growth and transformation. The focus is on long-term, lasting change and the process takes time. You’re being asked to release fears and take charge of your life. This will result in a more empowered you emerging from where you are now. As you step into a more empowered version of yourself, it can be easier to see your life’s purpose and move towards your goals. Pluto is the planet associated with death and rebirth. Metaphorically, when Pluto transits your Sun, you have the ability to become “re-born” into a stronger, more powerful version of yourself. Things may not be unfolding as you expect so be open to a ‘new dream’ for your life path emerging. You have the opportunity now to make peace with your past. Acknowledge how it has helped you and build upon the skills you have developed thus far. It’s now time to release limitations and “old stories” so you can focus on the present. Although you like to be an authority, this time period is better suited for you to become a student who is learning new ways to navigate life. Continue researching and practicing new skills and soon enough you’ll achieve the expert status your Sun Sign is known for. If you were born January 5 – 8, you are scheduled for the biggest transformations this year. URANUS in Aries continues to square Pluto in your Sun Sign throughout 2016 sparking revolution worldwide as well as in your personal life. Uranus made its last exact square to Pluto in the spring of last year and we’ll be feeling the “ripple effects” of that intense time period for the next few years. If you were born January 7 – 14, you could be in store for more feelings of unrest and pressure to be creative and express your talents, as Uranus will square your Sun exactly this year. With Uranus transiting your Solar 4th house, you may experience some turbulence in your home and family life as you or family members seek more freedom and independence. You’ll benefit when you can adjust your living situation to allow for more personal space. Family dynamics may be shifting as you learn to assert yourself in a positive way. Unexpected circumstances often arise during Uranus transits. You’re being called to “shake things up” and make a change. Keeping an open mind and looking for innovative, new ways of doing things will help you to navigate this time period. Your traditional ideas, particularly about success and your security, are shifting. As you develop your inner strength and stability, it will be easier to feel confident taking risks and trying unconventional ideas. You’re being reminded to incorporate spirituality into your daily activities. Journaling can prove to be especially healing during this time. Building a daily practice of meditation or prayer can be a soothing and inspiring influence. Neptune can help you to “get out of your own way” and release thoughts that are obstructing your progress. Pay attention to your intuition and tap into your creativity. It’s a year to dream big, as you’ll have support for turning your visions into reality through practical action steps. You’ll have the ability to recognize hidden talents and desires that are ready to emerge. Writing, music, art and other forms of creative self-expression can be developed this year. Consider taking classes in a creative medium and/or healing modality that interests you. Although all Capricorns have access to this inspiration, those born December 29 – January 3 are in store to receive the most direct input of creative and healing energy in 2016. SATURN will be in Sagittarius and your solar 12th House throughout 2016. This transit can help you to clarify your “hidden” dreams and work to make them a reality. Fear and doubt can cause us to push dreams and desires back into our subconscious. Saturn’s role this year is to draw these ideas forward and look at them from a practical point-of-view. Perhaps your dreams require further research or the guidance of a mentor or teacher. You’re being asked to assess the time, money and resources needed to pursue your heart’s desire. Instead of feeling discouraged by perceived limitations, you can learn to maximize the resources available to you. It’s a good year to “light a fire” and take courageous steps towards your dreams. You can benefit the most when you combine optimism and enthusiasm with patience and practicality. Capricorns born December 31 – January 12 will feel the greatest support for bringing their hidden dreams to life. JUPITER will be in Virgo, trining your Sun through September 9 of this year. This lucky transit can increase your luck and bring opportunities to achieve some of your bigger life goals. It’s an excellent time to be recognized and rewarded for your hard work. 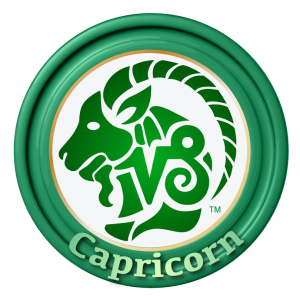 Once again, a spiritual resolution to daily life problems emerges as favorable for Capricorn. Because Jupiter is in your solar 9th House until September, these months are well spend in meditation, prayer, and taking time to be in nature for peace of mind. These are special months when you intuition is activated and you’ll be able to ‘see’ the reasons behind some of the delays you have been experiencing. Patience will be your friend. Travel, higher education and any life experiences that help to expand your horizons will be especially auspicious. Jupiter moves into Libra and your Solar 10th House on September 10 where it remains through the end of the year. The latter part of 2016 is highly favorable for career and business opportunities. Business partnerships and other joint ventures can enjoy luck and positivity. You will have energetic and practical support for some of your bigger life goals this year. You can make the most of this powerful year by being flexible and willing to try new methodologies. At times, you could be anxious to speed up your process. If this occurs, look for small steps that can help you achieve a sense of accomplishment as you work towards bigger goals. Listen to your intuition and nurture “hidden” dreams and talents that begin to emerge. You can make the most of opportunities that come your way when you release limiting preconceived notions. Resist the temptation to over-extend yourself and choose a path of slow, steady progress for optimal success. You are learning to get out of your own way when it comes to success. Capricorns yearn to achieve expert status in their chosen pursuits. However, this year is more about the journey than the destination. You can maintain stability and take charge of your life while learning new skills. Embracing the role of student can help you to let go of limiting beliefs and the feeling that you need to know all the answers and be “the best.” You can experience the highest level of personal growth when you take on new challenges and are willing to work your way up to the top. You’ll have the ability to shine this year when you take the time to progress thoroughly and carefully. By keeping focused and sticking to a long-term plan, you can feel successful on a daily basis. This is a year when planning is favorable. Set a goal and establish a routine that will take you there. Your Soul recommends that you stay focused on the positive result you would like to create in both relationships and life situations. When you become so immersed in your work that you forget about impressing anyone else, you’ll know you’re on track. The efforts you put forward can help to grow and heal a part of yourself that has been waiting to emerge. Your journey is quite personal. However, you can gain recognition and inspire others when you dedicate yourself to your dreams.